Alex and I had nowhere to go this halloween, but that didn't stop me dressing her up purely for my own amusement. 1. Cut felt into a circle, sew onto front of hoody. 2. Fold pipe cleaners in half and twist all four pieces together. Poke folded end into ball (glue on if it won't stay in) and draw a pupil on the ball with the vivid. Sew pipe cleaners to top of hood. 3. Pin toddler to the ground to measure how long her cape needs to be. Cut semi-circle for neck, fold over edges and hem. 4. Grab toddler and dress her. 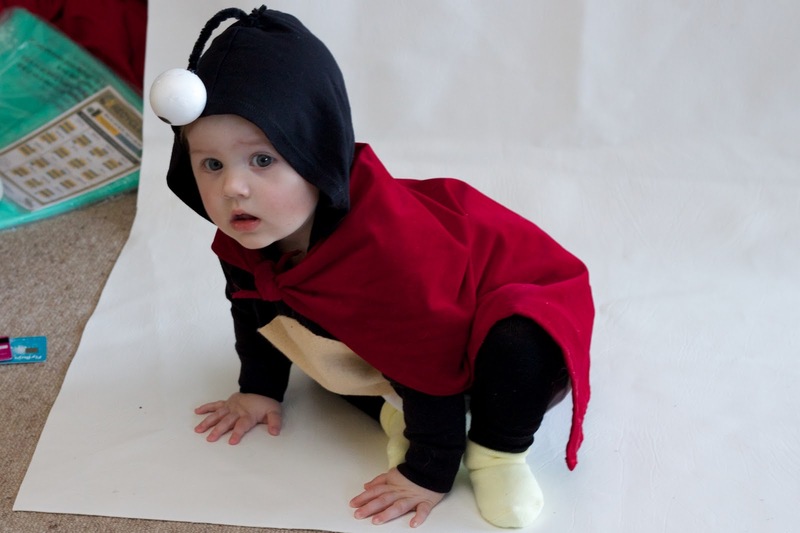 Chase toddler when she power-crawls away before you have the cloth nappy on her properly. This will make the cloth nappy fall off, and her sad once recaptured. 5. Distract toddler with videos so she'll sit still instead of crawling towards the camera, then get in her way while you set up the shot. This will frustrate her. 6. Sing along to music videos. This will amuse her. And there you have it. 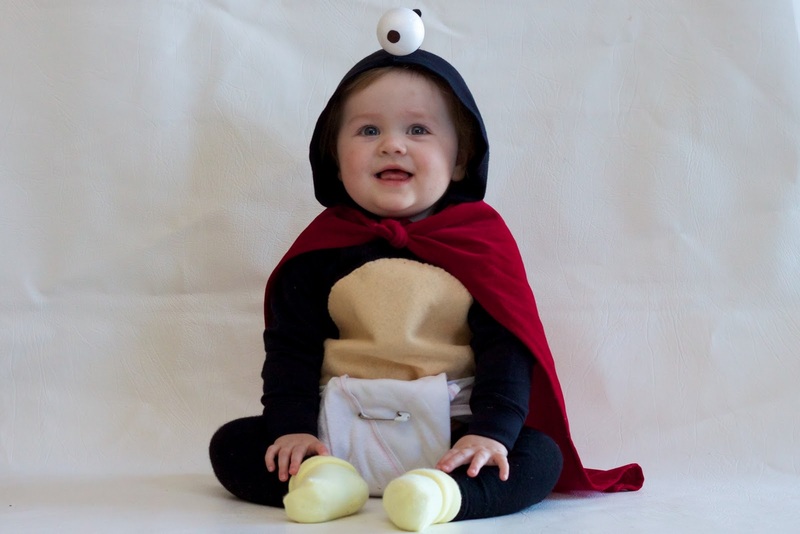 One smiling 14 month old dressed as Nibbler. Unfortunately her legs failed to work tonight (hover-baby) so there are no photos of standing Nibbler.